When I was growing up, we went to Cape Cod every summer. 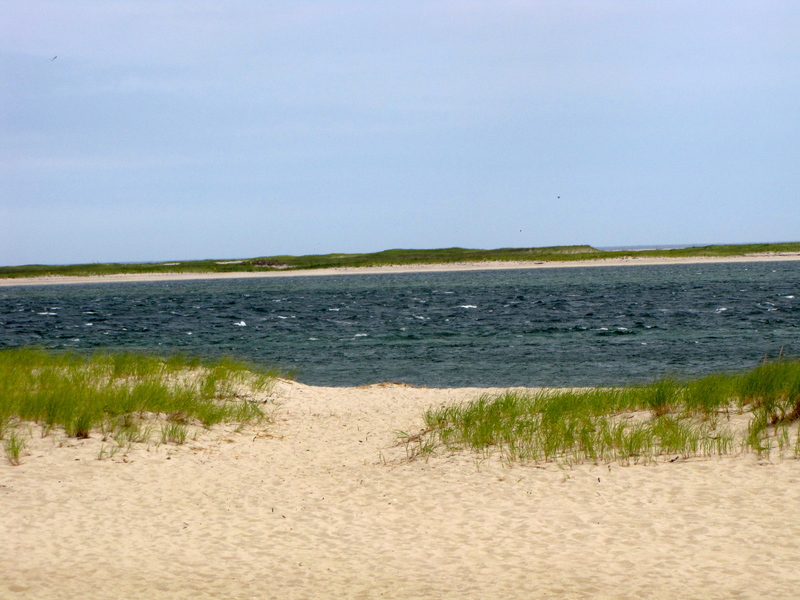 As a grown up, I’ve continued to go to Cape Cod every summer. College weekends. Girl’s weekends. Couples weekends. The weekend I got engaged. Cape Cod was the first place we took our firstborn. And second. And our triplets, who came along next. We’ve frequently made the trek to the Cape with a car loaded to the gills with strollers, pack & plays, high chairs and even the family dog. Except for last year; last year, we didn’t go. We were selling our house and our future was uncertain so we skipped our annual pilgrimage and visited friends and family in other places instead. We had a super summer but it just wasn’t the same. To get to the Cape, you have to cross a bridge. I’ve always said that when I cross that bridge, I feel as though my troubles are left behind. Blue skies and clear water lie ahead. Literally. The stress and chaos of our hectic lives are replaced by days that flow freely from the beach to the ice cream parlor, from mini-golf to the candy store. Worries fade as memories are made. To do lists are simplified: apply sunscreen, dry beach towels. Repeat. That’s pretty much it. The cottage we rented this year didn’t have wireless. This, as it turns out, was a great gift. Instead of catching up on work email or posting to my blog, I unplugged. I had no choice. I even left my Facebook friends behind for a week. I read a book. I turned off the light at a decent hour and I slept. A good, deep sleep. The kind that comes after long, sun-drenched days on the beach, when your legs are tired from long walks collecting seashells and your skin still feels a little salty. So, what did I learn on my summer vacation? I learned that, as suspected, there is truly no place like Cape Cod. I learned that I need more sleep. I learned that I still need to wear sunblock on cloudy days. And that beach towels don’t dry outside overnight as the cool Cape mist settles in. Perhaps best of all, I learned that a vacation home without wireless is nothing to fret about; it is permission to unplug… and isn’t that what vacations are for? NOTE: This post originally appeared on Moonfrye.